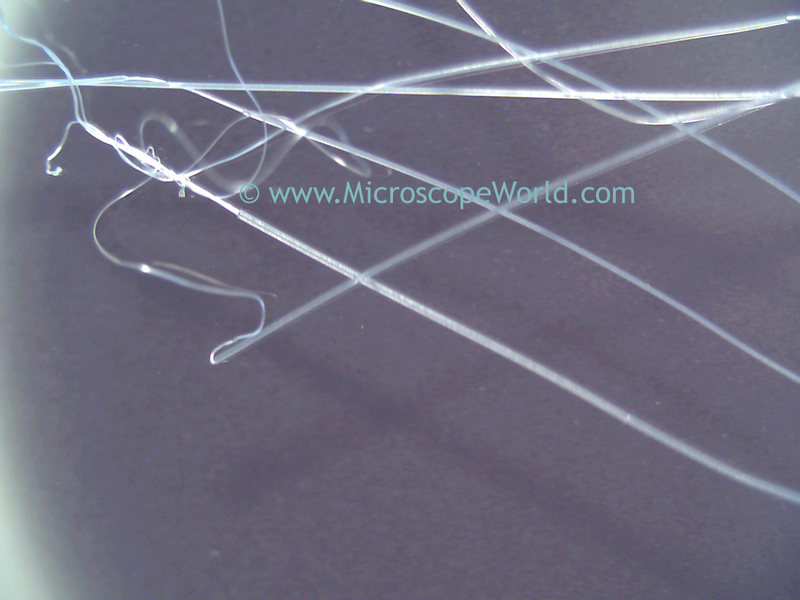 Viewing polymers under the microscope does not usually require a large amount of magnification. 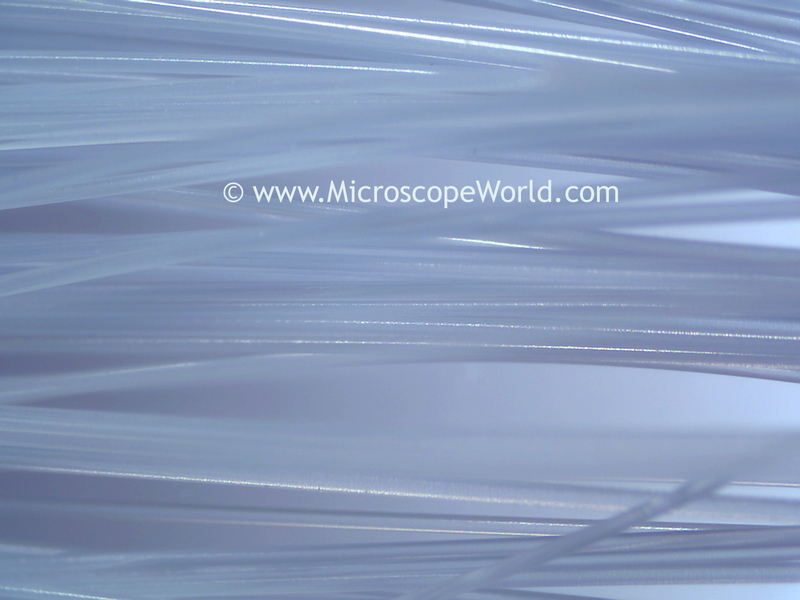 Below are some images Microscope World captured of polymer threads under a stereo microscope. Using a clear glass stage plate and light from both above and beneath the sample, the polymers were clearly visible. 10x magnification using only the top light on the stereo microscope. HSZ6-TBL stereo microscope used to capture polymer images. 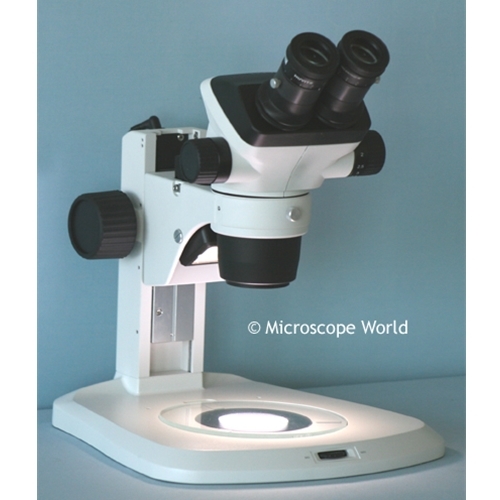 This stereo microscope includes both a top and bottom LED illuminators. 30x magnification using both the top and bottom lights. 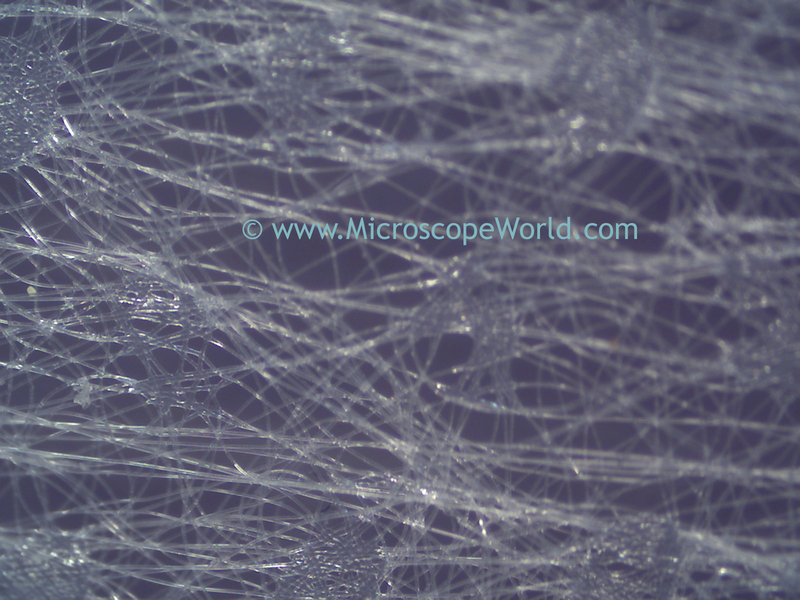 Fine polymer fibers captured at 40x magnification using the top light only on the stereo microscope.